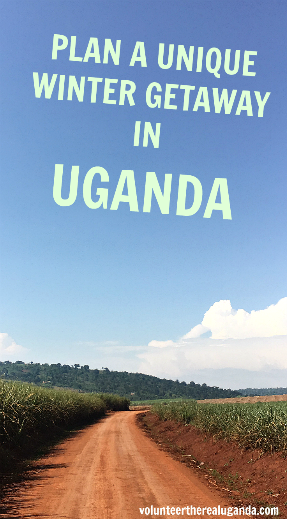 October through February are popular months to volunteer in Uganda. This time of year tends to attract longer term volunteers, ready to fully dig into our programs, communities, and culture. 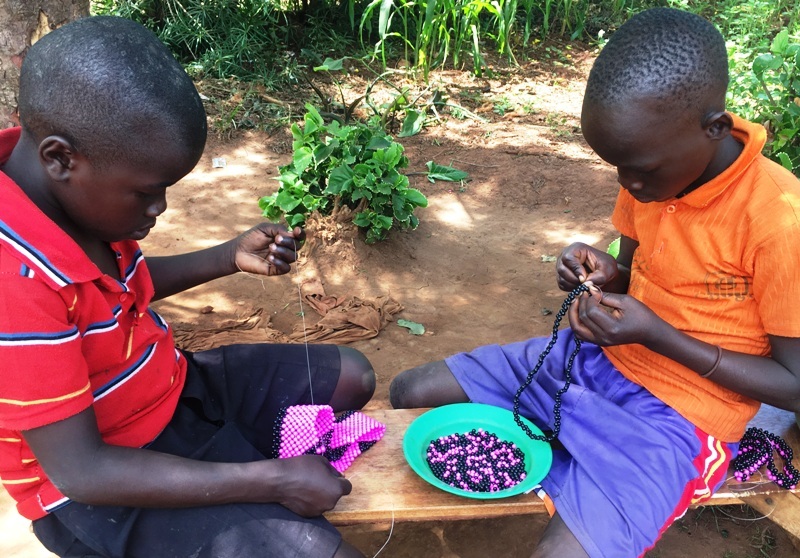 The longer volunteers stay, the more they do, the better they connect, and the further they travel within Uganda. 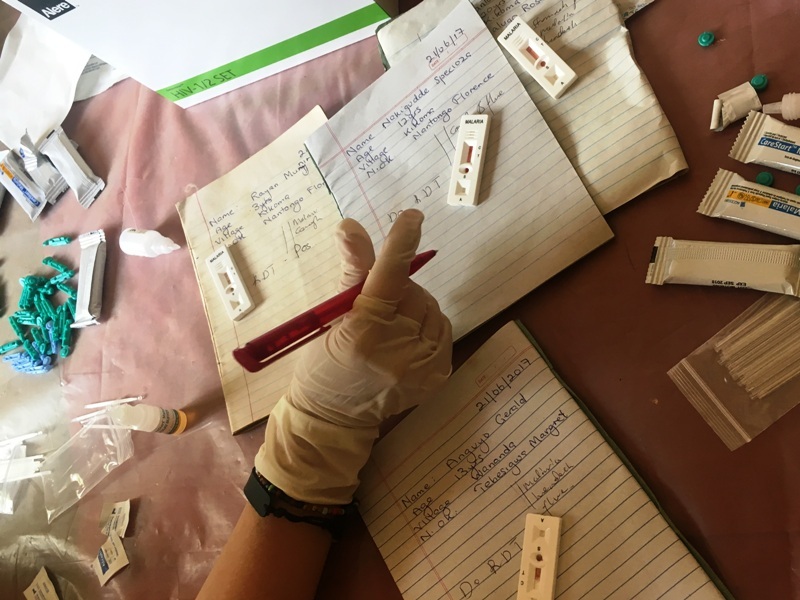 Our Public Health Improvement program has volunteers working in community hygiene and sanitation, and disease prevention efforts in remote areas. One partner trains local leaders, who are then responsible to train 25 more people within their own community. Volunteers dive into this viral peer education and learn how Ugandans work together to improve lives. They also learn about our home-grown technologies! Volunteers working in this program in late 2018/early 2019 will be instrumental in monitoring and evaluating this community sanitation project. Another partner uses volunteers in government hospital laboratories and maternity wards. Volunteers fill prescriptions and keep patient records, freeing up medical staff for specialized work. The result? More patients are served in less time. 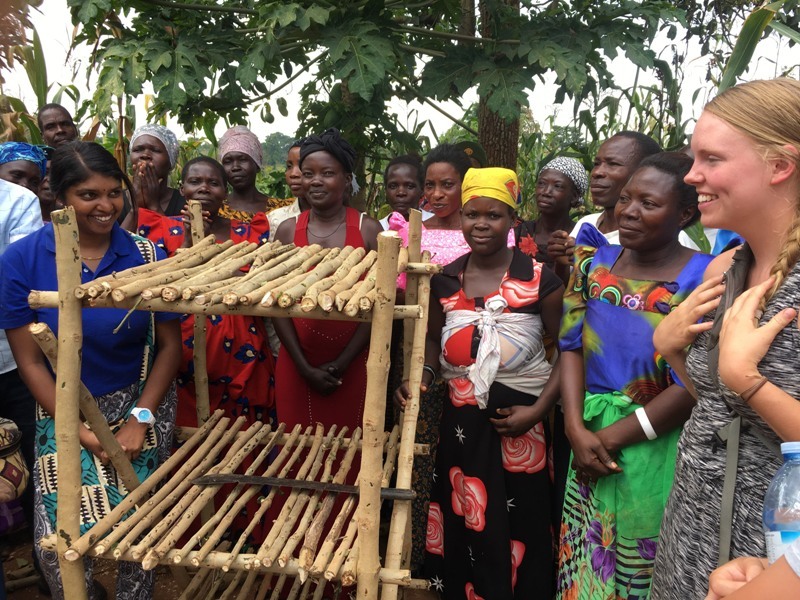 Volunteers learn first hand how Ugandan healthcare workers cope with limited resources and crumbling infrastructure with a positive attitude and tireless spirit. Upcoming volunteers in this program will help screen patients for malaria in the general clinic. They may also assist mid-wives to vaccinate and assess pregnant women, during their ante-natal visits. Our Community Outreach program provides handicraft-making and other skills to widows and single mothers. Income earned goes toward paying schools fees, renovating homes, and expanding small businesses. All this work builds pride and confidence in our women. In fact, they’ve opened a creative learning center in their community to share their new skills with other local women. Future volunteers joining this program will work alongside these motivated women, making jewellery, handbags, and sandals for sale in local and international markets. They’ll help them in their vegetable gardens too! While early 2018 gave us abundant rainfall, it was often too much. 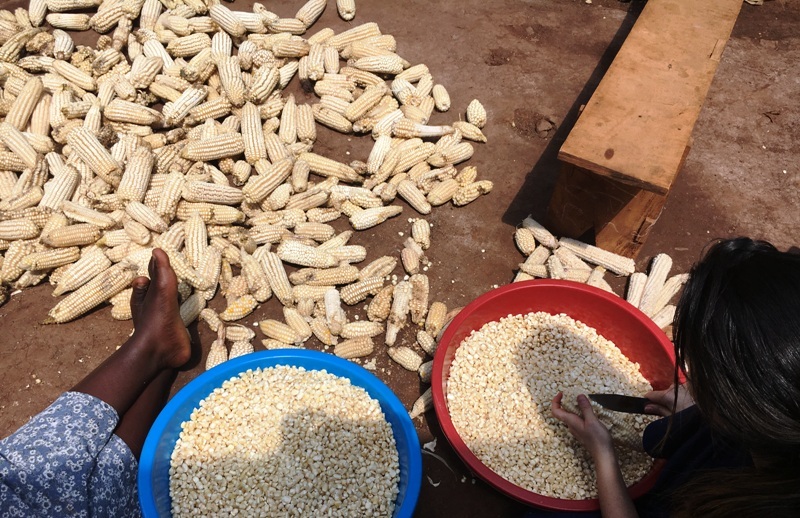 The different farming groups in our Agriculture and Conservation program lost much of their bean and maize crops. With emergency donated funds, some were able to re-plant and do well as the rains dried up in late May. Volunteers interested in this program truly learn how hard Ugandans have to work to survive. They also learn how it’s done with grace and good cheer. Here’s a volunteer helping to get the harvested maize ready for milling and sale. The more hands on the job, the quicker it’s done. Depending on how our climate evolves over the next few months, upcoming volunteers will join in on land clearing, planting, weeding, or harvesting. No matter what they end up doing, the extra hands make the work a little lighter for everyone involved. The winter months of our Village Teaching program are quiet as Uganda is officially on school holiday during December and January. However, volunteers wishing to work with children, can still join us. Typically, they organize a fun-filled ‘holiday program’ for local kids. This includes leading sport and art programs, basic public health lessons, and handicrafts making. This is the kind of stuff not learned during the school year. The new school year begins the first week of February. Volunteers joining us then lead classrooms with academic lessons, team-building games, debate, and cultural exchange lessons. The start of the new school year is always fun as the kids are happy to be back and the pressure is off! That about rounds out our program updates. 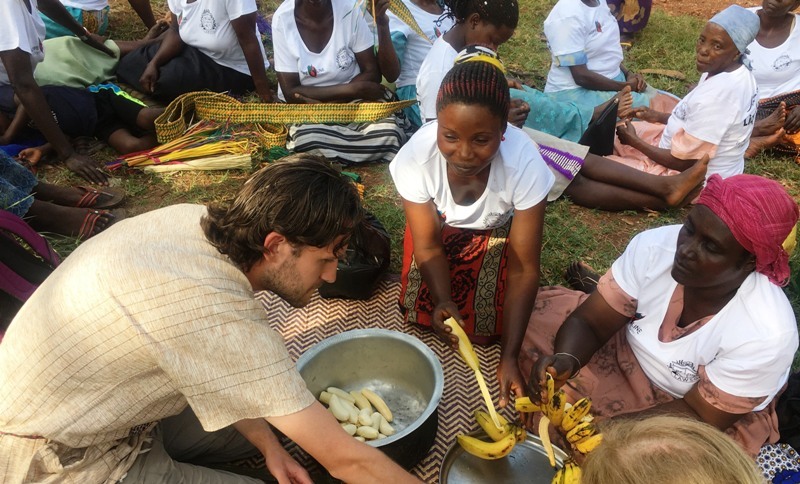 As you can see, The Real Uganda’s volunteers deeply experience Ugandan culture, gain first-hand experience working with local communities, and share the triumphs and challenges of daily life in Uganda. Have you got some time off this winter? We’d love to hear how you can benefit these programs with your fresh ideas, and positive, collaborative outlook.